The region of National Park Paklenica represents one of the most attractive natural-science and tourist resorts in northeast Mediterranean. 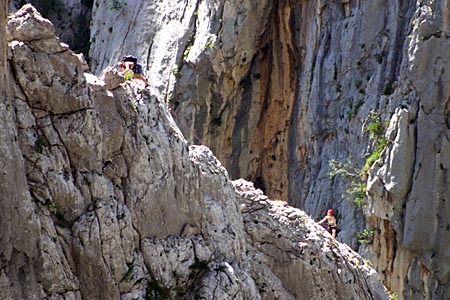 The grandiose gorge surrounded by harsh mountain cliffs, distant peaks of Velebit and old pine and beech forests is a challenge for each and every nature lover, scientist and climber. This is the place where we can find a wide variety of flora and fauna some of which are very rare and endemic. This area is especially characterised by its variety of karstic formations. The nearby seaside and coastal atmosphere only add up to the beauty of this park. The very entrance to the park where harsh mountain clifts almost menacingly overarch a visitor, makes it clear why the biggest, the most famous, and the most beautiful Croatian climbing site is located right at this spot. This is the place where anyone can find something for himself. We can climb sports, short routes, but we can also climb those that are far longer. This is the place that can satisfy even the adventure routes’ lovers. Range of difficulty levels is such that absolute beginners, as well as the experienced climbers can enjoy this place. 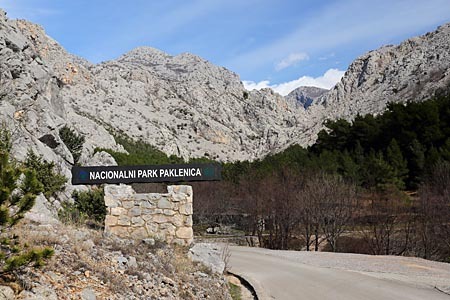 All that characterizes Paklenica as a climbing site, that was pointed out in the text above is proved by an increase in number of climbers from all over the Europe.